Dr. Janine Roberts is Professor Emerita, University of Massachusetts, Amherst, past president of AFTA (American Family Therapy Academy), and a practicing family therapist. 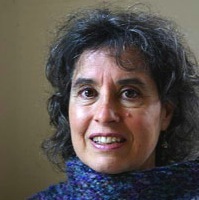 She is the author of Tales and Transformations: Stories in Families and Family Therapy (Norton Press); some seventy articles and chapters; a poetry book, The Body Alters (Slate Roof Press); coauthor of Rituals for Our Times: Celebrating, Healing, and Changing Our Lives and Our Relationships (Jason Aronson); and coediter of Rituals in Families and Family Therapy (Norton Press). She has had two Fulbrights to Latin America and has lived, worked, and traveled in more than 70 countries, beginning with Kuwait in 1963.